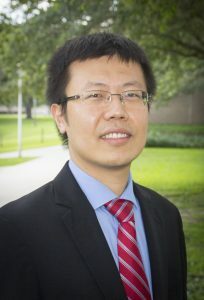 Dr. Cong Chen is a research associate with the ITS, Traffic Operation and Safety Program at CUTR. He received his Ph.D. degree in transportation engineering from the University of New Mexico in 2015, and his research focuses on traffic crash modeling and safety analysis, advanced traffic safety model development, pedestrian and bicyclist safety, traffic congestion and operation efficiency, intelligent transportation system, and transportation infrastructure monitoring and management. Dr. Chen currently serves as a member for TRB Standing Committee on Safety Data, Analysis and Evaluation (ANB20) and TRB Standing Committee on Highway Safety Performance (ANB25). He also serves as an Editorial Board Member of the Annals of Civil and Environmental Engineering. He has been invited as a referee for more than 15 peer-reviewed transportation journals and international conferences. Dr. Chen was awarded the New Mexico Governor’s Exempt Fellowship and served as an intern at New Mexico Department of Transportation (NMDOT) in 2014. He is a registered Engineering Intern (E.I.) in the State of New Mexico.